A room addition is an excellent way to not only add comfort and functionality to your home, but also to increase your home’s value. This is a great long-term investment that can pay off down the road. However, there are a few things you should keep in mind when adding a room to your home. Here’s how to get the most value out of your room additions. First of all, have a clear goal in mind as you begin the addition process. Make sure that you know exactly what you want out of your room addition—are you looking for another bedroom? More space to entertain? A specialty room such as a sun room or dining room? A little more storage space in your home? Knowing what you want will make the whole process much simpler, allowing you to maximize the value of your room additions. Secondly, consult with your contractor to make sure that your room is well-planned. Whoever you hire should be able to provide you with a design that makes sense for your home, and will help you get maximum functionality out of the addition. You should make sure that the plans for the room are functional, attractive, and practical. 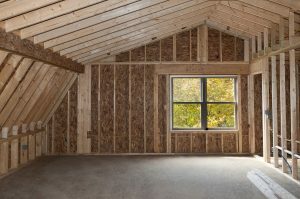 Finally, make sure that you choose materials that will help the room addition match the rest of your home. A mismatched extension can harm the overall value of your home, while a seamless transition will increase the home’s potential resale value. Be sure to choose siding, trim, roofing, windows, doors, fixtures, and other features that will work well with your house’s overall design. While they allow you to make your living area more attractive and functional, room additions are also an excellent way to make your home more valuable. Be sure that you plan out the addition carefully and choose a qualified contractor in order to maximize the benefits your project can add to the house.